Through the years numerous restoration contractors have contributed to this site either directly or indirectly by writing articles, offering reviews of products, and offering advice in the comment sections. 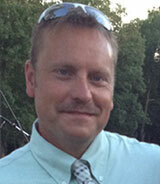 Scott Paul – Owner of OPW LLC Deck Restoration and The Sealer Store Sites. As an article and comment contributor to the site, Scott has been around the pressure washing industry since attending Michigan State University. In 1993 he started his first company called Oakland Pressure Wash specializing in exterior pressure washing and deck staining. That company evolved into OPW L.L.C. shortly thereafter concentrating more on exterior wood and deck restoration. In the spring of 1996, Scott opened his first Brick and Mortar storefront in Rochester Hills, MI. Scott relied on his experience and stocked the store with the best wood restoration products available. The store quickly became the go-to place for contractors and homeowners seeking the best products possible for their deck maintenance needs. In 2002, Scott opened his first eCommerce site selling the products he sold through his retail store. Scott and his Deck Cleaning Michigan company have restored over 10,000 decks in the Metro Detroit area since the early years. He has become an authority in the deck restoration industry and has contributed to numerous wood restoration forums and informative sites. Scott is only biased to the products that perform the best based on his own personal experience using the products and in the 20+ years of helping others. Scott has been approached about selling numerous different deck restoration products through the years but selects only the products he has used and trusts to perform. Scott only retails high-end products. This allows him to offer eCommerce solutions to both contractors and homeowners alike. He has used and sold enough decking and wood stain to cover over 100 million square feet. In the past 5 years alone he has helped over 15,000 contributors on his sites with their wood restoration questions and concerns. He has written hundreds of articles on the subject and loves to help homeowners. His goal has always been to help consumers achieve better results through better products and better service than provided by a local big box store. All the products he suggests through this site are sold through numerous online sites and in retail stores, allowing the consumer to choose their own means of purchase. Scott’s eCommerce sites do sell many top brands he endorses and if you appreciate any of the help he has offered then feel free to purchase from one of them. You can also contact the manufacturer(s) directly for help in locating products. DeckStainHelp.com was conceived by Scott and is his way of giving back and to help promote the use of quality products for better results. As an article contributor to the site, Barry has been around construction all his life and has experience in many different trades and skills. He’s done everything from roofing and siding to gutter installation and painting and everything in between. In 2003 he started his own exterior cleaning business in Indiana called Midwest Pro Wash and now has over a decade of experience in pressure washing and deck staining. Although exterior cleaning is seasonal in northern parts of the country like Indiana, Barry and his crew work long hours during the warm months of the year. From early spring and into the fall they wash 120 or more houses on average per year. They clean and seal dozens of driveways, sidewalks, patios and pool decks. He and his crew clean and stain dozens of wood decks, fences, cedar roof shakes, and cedar sided homes. They also clean many asphalt shingle roofs and gutters. Add to the list commercial truck fleets and regular monthly commercial accounts. Over the years, Barry has gained experience and has become an authority in the industry. He’s learned to become more efficient in the cleaning process without sacrificing quality by using the right equipment and products. He gets a big chunk of his work these days from repeat customers, referrals, and word of mouth, which says a lot about his company and his customer retention abilities. Barry has also given back to the industry by helping other exterior cleaning contractors around the country by answering questions and offering advice over the phone or online message boards. He has given presentations and helped organize several exterior cleaning round tables around the country over the years to help others getting started in the industry. He has even had contractors travel from other states to come work with him and his crew for several days at a time to teach them how to perform specific services like house washing or deck cleaning and staining. Barry also has several helpful YouTube videos geared towards answering questions and giving advice to homeowners looking to hire a pressure washing contractor. One such video has nearly 150,000 views and triggers quite a few phone calls each year from homeowners and contractors alike seeking more advice with their exterior cleaning needs. Note: If you are Wood and or Deck Restoration Contractor and are interested in becoming a contributor to the site, please email us at contributors@deckstainhelp.com. Any other inquiries to this email address will not be answered.